Accra, April 13, GNA – The Ministry of Food and Agriculture says it has shifted its focus from synthetic insecticides to bio-rational products, for the management of the Fall Armyworm (FAW) infestation, as part of its short, medium and long-term management measures. The focus on bio-rational products is to ensure minimum pest resistance by the FAW, which is higher with the use of synthetic insecticides. Dr Mrs Felicia Ansah, Director of Plant Protection and Regulatory Services at MoFA, said this when she briefed Journalists on the current situation of the FAW problem. She noted that the FAW had come to stay, as it could not be completely eradicated but managed, as in the case of Brazil, which had been managing the FAW infestation for the past 40 years, and was currently one of the biggest exporters of maize. Ghana had thus modelled its management measures after the Brazilian experience. These measures, she said, include the deployment of pheromone trap catches in various locations across the country to ascertain the levels of infestation, training of MoFA staff and farmers on scouting, early detection and sustainable management of the pest in the event of an outbreak. She explained that the best way to manage the infestation on farms was to detect the pests early at the larvae stage, and not when they became full grown moths. That is when they did the most damage to crops. Other measures being undertaken by the Ministry are the distribution of pesticides to all district offices in the country where farmers can access in FAW infestations, the formation and training of Nnoboa Spraying Teams in farming communities and intensification of public awareness creation for farmers and the general public. According to Dr Ansah, Ghana had commenced scouting of natural enemies of the FAW, which once identified, will be reared to help reduce the population of the pests. “In the long term, only biological control agents, microbial insecticides and botanicals/organic products will be used to manage FAW in Ghana,” she said. She said a total of 249,054 hectares of maize were affected and sprayed, out of which 234,807 hectares recovered and 14, 247 totally destroyed in the previous season, adding that there was a likelihood for more infestations in the 2018 farming season. Dr Ansah stressed the need for the media to be circumspect in how they reported issues around the FAW infestation as it had implications for trade. She urged the media to collaborate with the Ministry to educate farmers on how to manage the FAW. She said the pockets of FAW infestations being currently experienced in some districts in the Ashanti, Brong-Ahafo, Eastern, Volta and Western Regions had been blown out of proportion as it was a pre-season production infestation. “We would like you to appreciate that this is a Phytosanitary or Public Plant Health Issue, with trade implications and must be communicated in a professional manner. Media coverage should rather be geared towards improving the knowledge and skills of our farmers,” she said. A Cambodian farmer working under the Pest Exclusion Nets in Battambang, Cambodia. Cambodian agricultural scientists, extension agents, NGOs, and entrepreneurs learn about Trichoderma, a beneficial fungus that can control vegetable-attacking pests. Phai Sila has been farming since she can remember, growing up in a farming family in Battambang, Cambodia. South and Southeast Asia are regions with enormous potential for horticulture production, yet farmers like Sila still follow traditional farming methods that produce low yields and make farming less profitable. 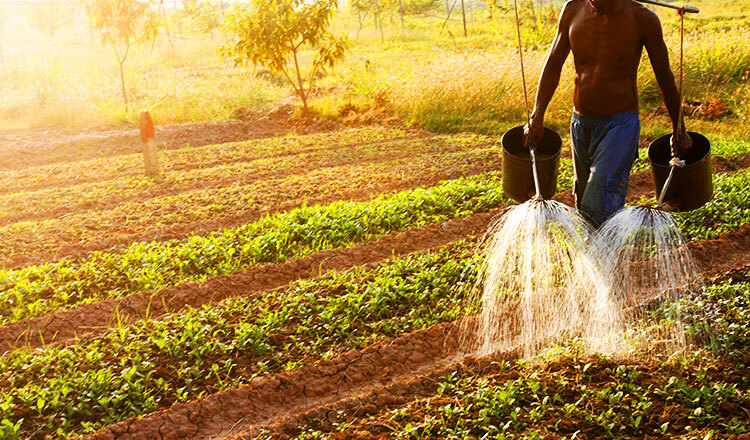 One element of farming that contributes to decreased profits for smallholder farmers is the use of pesticides. While pesticides are used in many countries’ agricultural industries, for smallholder farmers in villages around the world, their cost can be prohibitively expensive. So farmers like Sila have begun exploring other pest control options. Through support from Feed the Future, Sila and other farmers in Battambang learned how to install pest exclusion nets (PEN) to protect their crops from pests, control temperature and soil moisture, and reduce their reliance on pesticides that impact both the environment and human health. By using PEN, Sila was the only farmer in the village to successfully grow leafy vegetables this past summer. Because of the lack of vegetable supply at the local market, she earned 10 times more than in the winter season. Pest exclusion net technology is not the only new method of pest control being explored in Cambodia. Beneficial bacteria, fungi and viruses are a viable alternative to chemical pesticides for controlling pests and diseases that attack cultivated crops. Since 2009, the Feed the Future Integrated Pest Management Innovation Lab has worked to control pests and diseases that affect high-value vegetable crops. The lab has identified several potential biological pesticides for protecting crops in place of chemical pesticides, but one in particular – Trichoderma – could be produced locally and has proven to be highly effective. 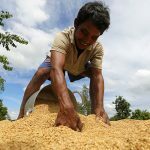 There was one major hurdle to introducing Trichoderma to local farmers, though: The Government of Cambodia did not have a process for registering biological pesticide use within the country. So the Feed the Future Integrated Pest Management Innovation Lab conducted a workshop in Cambodia’s capital, Phnom Penh, to educate and train local agricultural scientists, extension agents, NGOs and entrepreneurs about Trichoderma. It also helped local entrepreneurs establish companies that produce this beneficial fungus and sell it to farmers. In collaboration with a project sponsored by the German government, the lab also worked to encourage the Cambodian government to establish a registry for biological control agents. A Trichoderma application produced by Kean Sophea, a local entrepreneur with whom the lab had worked, led to the first officially registered and locally produced biological control agent in Cambodia. And because biological control agents are not only cheaper than chemical pesticides, but also generally have a much smaller impact on the soil and the environment, the future of Cambodia’s farmers looks promising. The Feed the Future Innovation Lab for Integrated Pest Management, led by Virginia Tech, supports improved, environmentally sustainable yields for smallholder farmers through an environmentally-friendly, sustainable approach to reducing plant and crop damage caused by pests. The lab works with researchers, scientists, extension agents, farmers, policymakers, and government officials around the world, as well as universities in the United States and national and international agriculture research centers to tackle pest problems of vegetables, fruits, cereals, and legumes. The Feed the Future Asia Innovative Farmers Project, funded by USAID and implemented by Winrock International, transforms the lives of farmers in South and Southeast Asia by supporting the discovery, development, and dissemination of impactful innovations that help farmers boost their incomes and improve their food security. The project works to identify, test, scale and disseminate critical technologies that enable smallholder farmers to improve productivity and income sustainably. 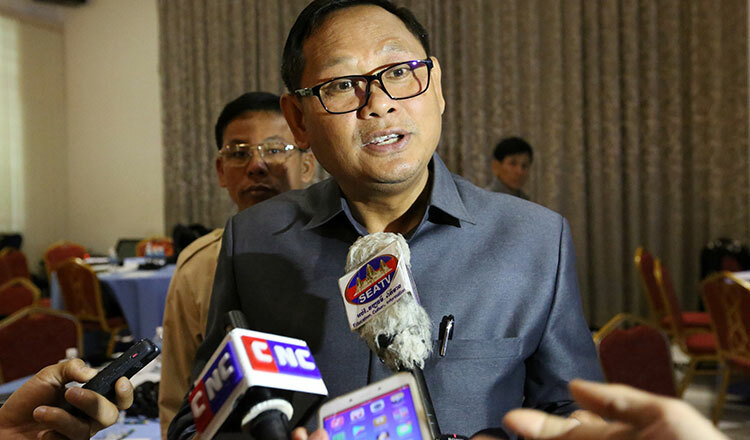 Cambodia has just launched a new registry for companies that wish to import biological control agents (BCA), effectively allowing the importation of these organisms which are widely used in other countries for pest control. BCA are natural organisms that are used to fight pests, such as the larva of certain flies which are used to combat insects that kill crops. Controlling pests ¬– whether they are insects, mites, weeds or plant diseases – through this method is known as biological control. Speaking at a workshop on the subject yesterday, Phum Ra, the director of the department of agricultural legislation at the Ministry of Agriculture, said his ministry has officially opened a registry for companies who want to import BCA, a move he hailed as a milestone for the agricultural sector as it will reduce dependency of chemical products and widen producers’ markets abroad, particularly when it comes to organic buyers. He added that the country’s current overreliance on chemical fertilizers is debilitating the soil, causing pesticide resistance and hampering access to international markets that demand higher and greener standards of agriculture production. Phum Ra, the director of the department of agricultural legislation at the Ministry of Agriculture. Mr Ra went on to explain that the ministry’s decision follows a rise in demand for BCA products in the kingdom and that they are being assisted by German development agency GIZ in laying the groundwork for the new initiative. However, Mr Ra warned that due to the novelty of using these agents in the kingdom, there is a need for all stakeholders to cooperate to train farmers in their usage and to acquire the necessary equipment for their proper deployment. Mao Canady, the manager of Eco-Agri Co, Ltd, welcomed the new registry. She said she had never imported these products before because of a lack of regulation, but said her company was already producing Trichoderma – a type of BCA used against certain fungi – at their facilities to distribute locally. “We are happy with the government’s decision. It will build trust for farmers, the private sector and consumers,” Ms Canady said, adding that BCA are generally cheaper than chemical pesticides and have a much smaller footprint on the soil and the environment. San Bunika, the country director of Agri-Smart Association, said the Ministry of Agriculture did the right thing by establishing the registry and encouraged the authorities to keep facilitating the process of obtaining BCA by cutting red tape and making it easier for farmers to acquire the products. “We use too many pesticides in Cambodia. BCA will reduce the need for them,” Mr Bunika said. According to the department of agricultural legislation, more than 40,000 tonnes of chemical pesticides have already been imported this year. There are more than 100 companies in the country that import pesticides and fertilizers. Efficacy and risks of biorational products in IPM strategies – acceptable? to be carried out at 13-14 December 2017 in Braunschweig, Germany. Researchers have identified a wild yeast that is more effective than a pesticide at preventing common grape molds. The yeast strain is one of many found on wild grapes, as well as a smaller number found on farmed grapes, that can inhibit common grape molds. The study, published today in open-access journal Frontiers in Microbiology, suggests that wild yeasts could be an eco-friendly alternative to chemical pesticides. “The ‘wild’ environment represents a huge and largely untapped source of biodiversity, which could provide a reservoir of helpful microbes for pest control,” says Ileana Vigentini, a researcher at the University of Milan. At present, many farmers use chemical pesticides to control fungal diseases. However, pesticides leave hazardous residues in the environment that can have significant consequences for local ecosystems. Traces of pesticides can also end up in food, and could affect human health. In addition, many fungi are becoming resistant, meaning that pesticides may not work effectively. The European Union has restricted certain pesticides, meaning that the race is on to come up with eco-friendly alternatives. One possibility is to use natural yeasts—themselves a type of fungi—to inhibit disease-causing fungi in crops. Microbes like yeasts often compete with one another, and naturally produce substances to kill or slow down their rivals. However, so far, researchers have not been able to find yeasts that are as effective as chemical pesticides. 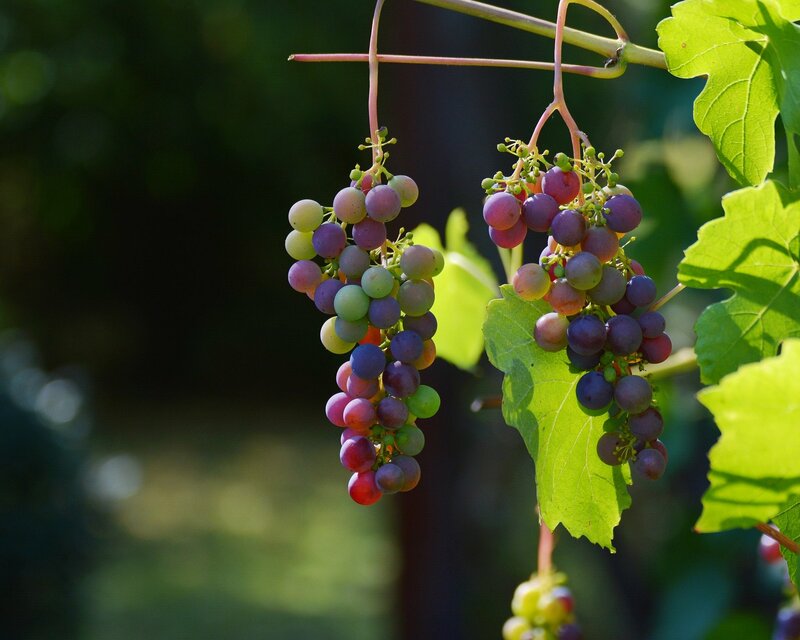 In the study, Vigentini, Gustavo Cordero-Bueso and colleagues investigated whether yeasts isolated from the skins of wild or farmed grapes could inhibit three common molds that can ruin grape harvests. 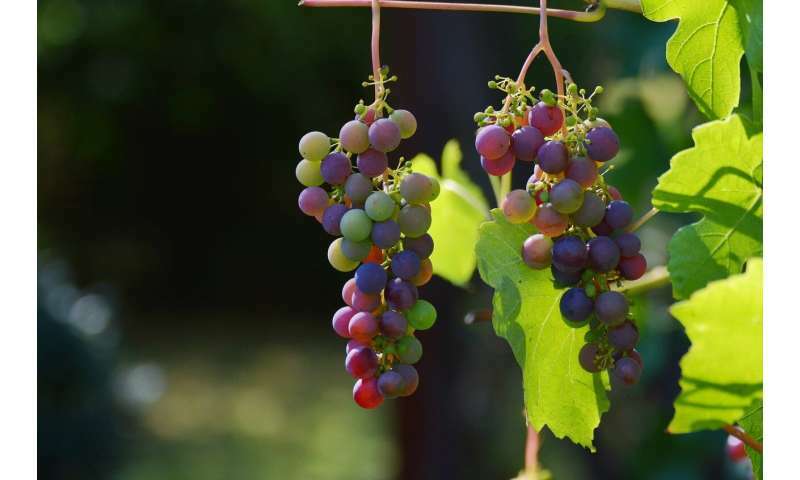 Initially, the research team isolated and identified yeasts from a type of wild grape in Georgia, Italy, Romania and Spain, and farmed grapes from vineyards in Italy. The team tested whether the yeasts could inhibit mold growth in the lab, and identified the top 20 yeasts with the most potent anti-mold effects. Of these, a whopping 18 strains came from the wild grapes, suggesting that wild plants could be a promising reservoir for useful microbes. The team went on to investigate the possible mechanisms the yeasts use to inhibit the molds. They found that many of the yeasts release enzymes that can digest the molds’ cell wall, or release substances such as acetic acid or hydrogen sulfide that can kill the molds. Finally, the researchers tested the yeasts’ ability to stop the molds from growing on grapes and compared them with a commercial pesticide. Strikingly, one yeast strain was more effective than the chemical pesticide at preventing mold growth. Previous work has shown that this yeast strain does not interfere with wine fermentation, and can survive harsh conditions. This might make it well-suited as a biocontrol agent in vineyards, but outdoor trials are needed to confirm this. “We plan to test some of these yeast strains as a substitute for chemical pesticides in field trials using grapevines,” says Vigentini. Oliver Gernsheimer, BASF Functional Crop Care, U.S. Crop Protection, highlights BASF‘s commitment to biologicals as another important crop protection tool for farmers. Serifel, which is now labeled for use as a foliar fungicide in the United States, is based on viable spores of the beneficial bacterium Bacillus amyloiquefaciens strain MBI 600. BASF is committed to biologicals as another tool for growers to battle pests and disease. The introduction of Serifel, the first proprietary biological fungicide offered by the company, is an important step into the market. Oliver Gernsheimer, responsible for BASF’s Functional Crop Care, U.S. Crop Protection business, said there is a growing interest in biologicals, particularly among specialty crop growers. “BASF is excited about new technologies in all areas that add value to our portfolio. Wherever we see a promising product and customers who are excited about it, we invest to develop these technologies further,” he said. “Strong grower interest and the realization that no one has focused on exactly how biologicals work are key drivers for BASF’s commitment to increase investment, science and research behind biologicals,” Gernsheimer said, noting that the company will introduce additional biological crop protection products in the near future. Serifel, which is now labeled for use as a foliar fungicide in the United States, is based on viable spores of the beneficial bacterium Bacillus amyloiquefaciens strain MBI 600. It is targeted to specialty crops such as lettuce, spinach, grapes, wine grapes, strawberries, onions, carrots and tomatoes. It is currently labeled for foliar users, but BASF plans to add soil users to the label. Gernsheimer said the company hopes to have a label for soil use in the U.S. by next year. Gernsheimer emphasizes that Serifel is a preventive fungicide designed to be used in a program with conventional fungicides or in an organic program. “Serifel is not designed as a stand-alone product,” he explained. Gernsheimer said a key aim of BASF is to increase the credibility of biologicals as part of a pest management program and to understand biologicals with as much specification as the company’s conventional chemistry.